Heating Services Residential • Commercial | M. Samok LLC. We also offer 24 hour, around the clock emergency service for all makes and models, and all types of heating and air conditioning equipment and systems. Our HVAC services range from performing routine heating and air conditioning repair and replacement to comprehensive preventative maintenance agreements, designed to provide proactive rather than reactive service. M. Samok Quality Home Maintenance LLC., has been providing exceptional heating services to business and residential customers throughout the Philadelphia region. 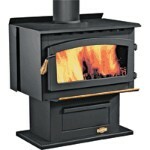 Our Customers have come to count on us for the highest levels of customer service and quality heating system products. Our heating specialists receive the most thorough and up-to-date training available. Whether it’s an emergency service call or a routine maintenance visit our technicians are always prompt, completely professional and committed to your complete satisfaction. 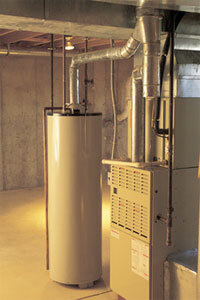 M. Samok Quality Home Maintenance LLC., we understand that your heating system is more than a mere convenience. Anyone who’s experienced a system failure knows how uncomfortable and frustrating it can be. During times of extreme temperatures such a failure can actually be a health threat and any business owner knows that a comfortable work environment is essential to the productivity of their business. M. Samok Quality Home Maintenance LLC., help you avoid unexpected and costly system failures with an annual maintenance contract. Through our regularly scheduled system inspections and maintenance procedures we keep your system working efficiently and can diagnose minor problems before they become major ones. We offer a variety of maintenance services designed to address your unique needs and our rates are among the most competitive in the industry. Call us today for an initial system check up and get the peace of mind that comes from knowing your heating and air conditioning system is working as effectively and efficiently as possible.